HYBRID CARFAX One-Owner. Clean CARFAX. 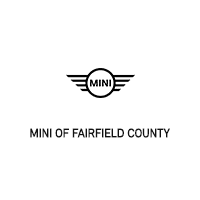 2019 MINI Cooper S E Countryman AWD Steptronic Automatic NAVIGATION SIGATURE TRIM, SIGNATURE PREMIUM PKG., REAR CAMERAS, HEATED SEATS ROOF 1.5L I3 Hybrid Turbocharged DOHC 12V ULEV II 1.5L I3 Hybrid Turbocharged DOHC 12V ULEV II.